S7 Technics, Russia’s largest independent maintenance, repair and overhaul (MRO) services provider, has purchased AMOS MRO Edition software from Swiss AviationSoftware (Swiss-AS) for all of its maintenance bases. It predicts that the new business functions now available through AMOS – such as Facility/Hangar Planning, Ground-time Management, Finance Control Dashboards, CRM and in-depth Quotation/Contract Management – will help it improve the efficiency of its business processes whilst also making it compliant with “existing as well as the prospective requirements and high standards of airline customers”, the company says in a statement. The Russian company signed the contract with Swiss-AS in November 2017 and launched the implementation of the software at its production sites at the same time. Timur Tyncherov, S7 Technics’ director for planning, told Russian Aviation Insider that the Swiss software is being simultaneously implemented at all three of its maintenance sites at Domodedovo (Moscow), Mineralnye Vody and at Novosibirsk’s Tolmachevo. “This is explained by the logic of the software and the holding’s production processes. AMOS has many modules – and we’ll implement all of them, but with different priorities,” he said. In the industry’s ongoing digitalization effort, S7 Technics is not the only AMOS customer in Russia. 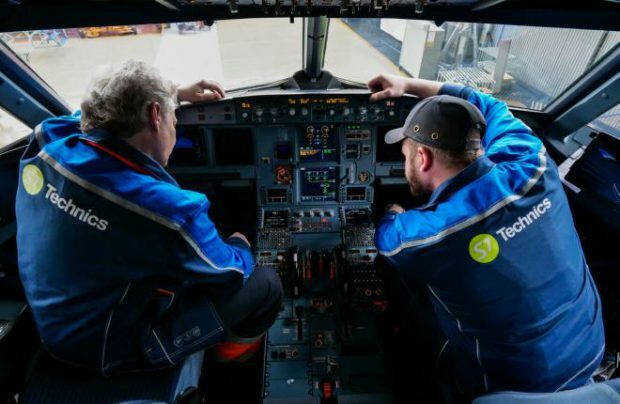 One of the providers currently benefiting from the Swiss-AS product is TS-Technic, which is part of the UTair Aviation group, and for which the software is helping to reduce ground-time delays for UTair’s aircraft. Other AMOS customers in Russia and CIS include Aeroflot, A-Technics, Vnukovo-based UTG M&E, Turkmenistan Airlines and Belavia. The S7 Group-backed Cyprus carrier Cyprus Airways is also using the Swiss software.